Bertelsmann, the Germany-based parent company of Random House, will own 53% of the new venture with Penguin. 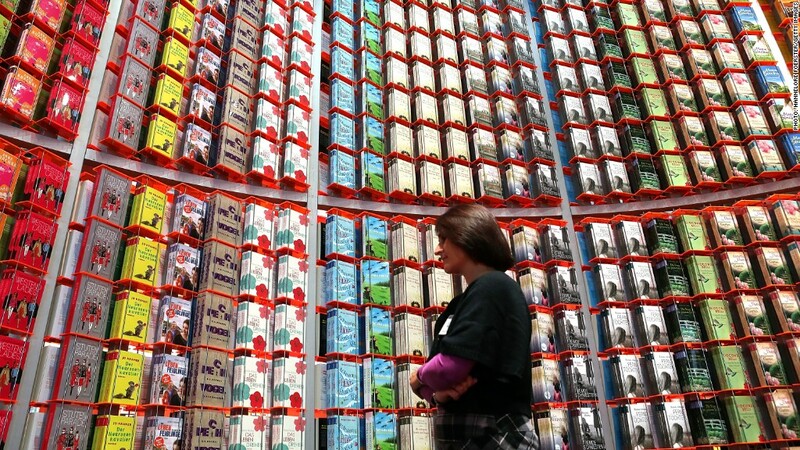 Penguin and Random House, two major publishers, said Monday they intend to combine operations. The merger announcement comes as publishers struggle to find profits in the digital age. Bertelsmann, the Germany-based parent company of Random House, will own 53% of the new venture. Penguin's U.K. parent company, Pearson, will control the remaining 47%. While the deal requires regulatory approval, the publishers said they hoped to compete the merger by the second half of 2013. Current Random House CEO Markus Dohle will serve as chief executive of the new venture. Penguin CEO John Makinson will become chairman of the board. Random House reported an operating profit of $259 million last year, while Penguin reported $179 million. The move comes as digital retailers such as Amazon (AMZN) and Apple (AAPL) exert enormous pressure on the publishing industry. Amazon is not just producing popular e-readers, but it has also launched its own book imprint and is working to sign up authors. In June, Amazon bought small publisher Avalon Books and its backlist of 3,000 titles. Avalon's books fall mainly in the romance, mystery and Western genres. The consolidation might help Penguin and Random House blunt changes in the industry, but it also means the Rupert Murdoch-owned News Corp. (NWSA) won't be able to make a run at Penguin. According to multiple media reports, News Corp. had been preparing to make an offer for Penguin in recent days. According to a news release announcing the merger, the publishing imprints of Random House and Penguin "will continue to publish their books with the autonomy they presently enjoy, and retain their distinct editorial identities."